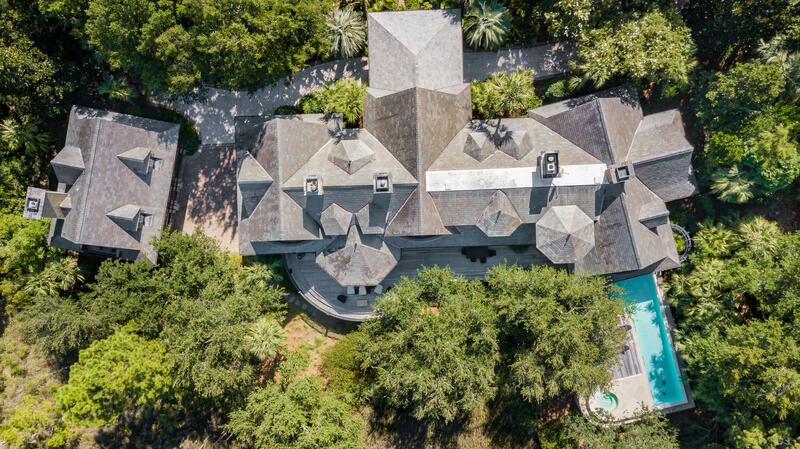 This magnificent home, built across two lots, with its welcoming porte cochere, guest house and wide deck, Infinity pool and spa lends itself to both small family gatherings or large scale living and entertaining. 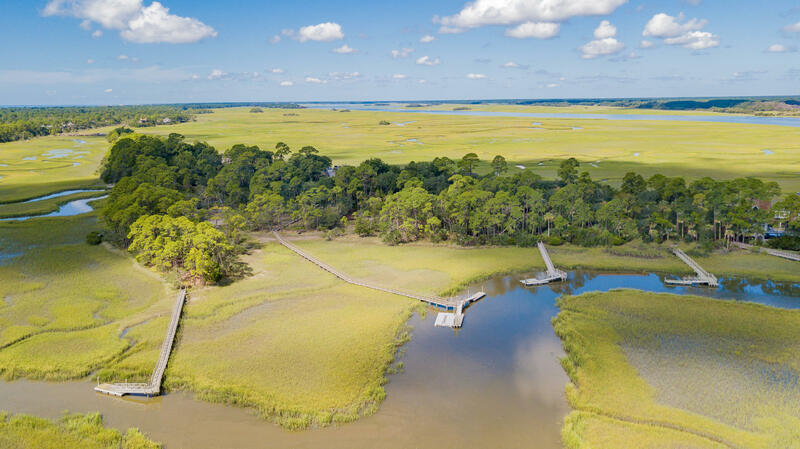 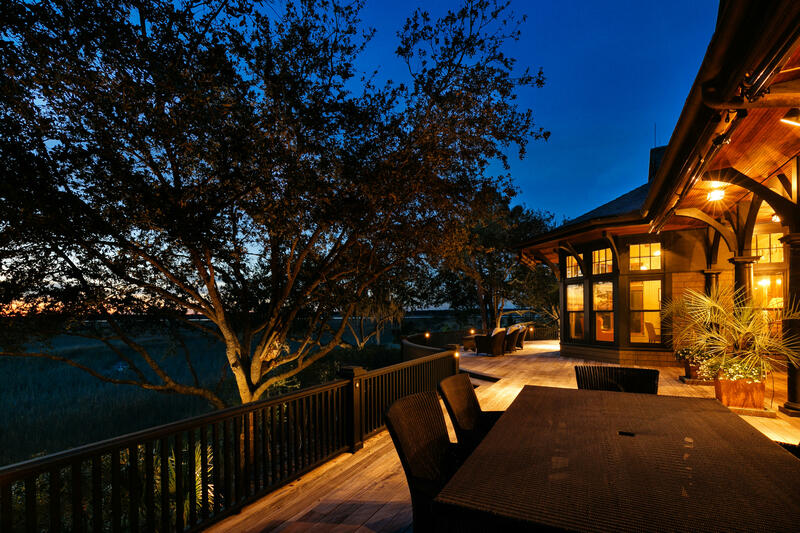 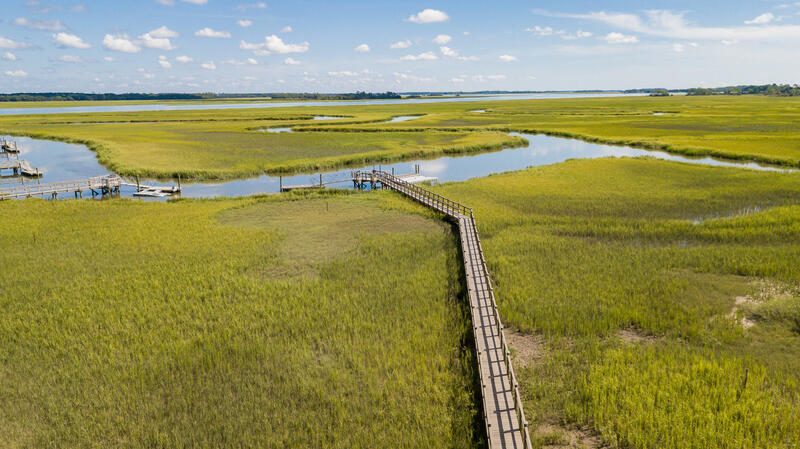 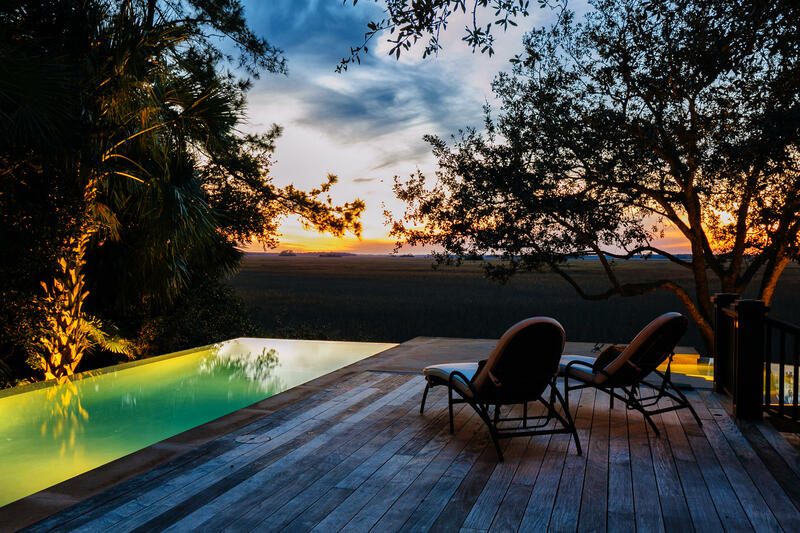 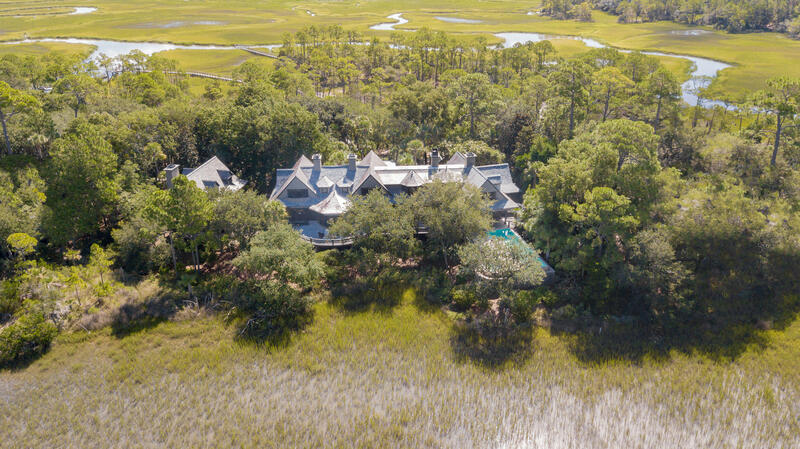 Purchase includes an additional 1.03 acre Lot 7B with walk-way and two floating docks providing deep-water access to the Kiawah River. 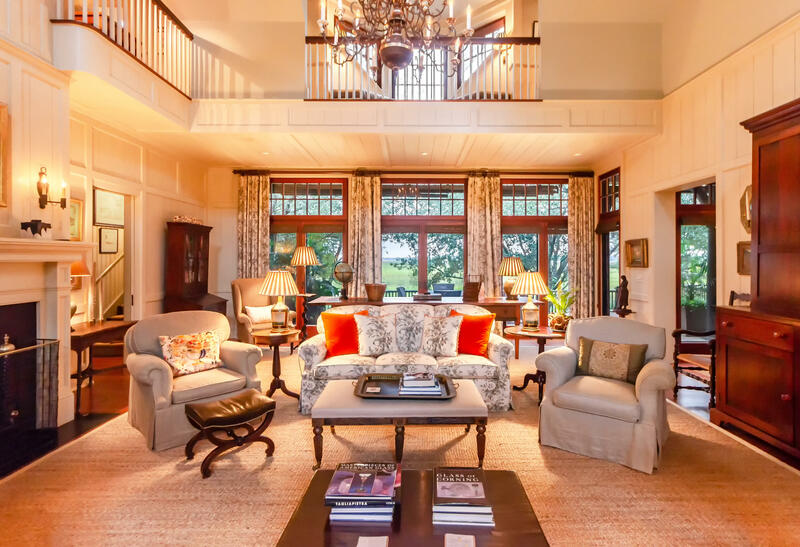 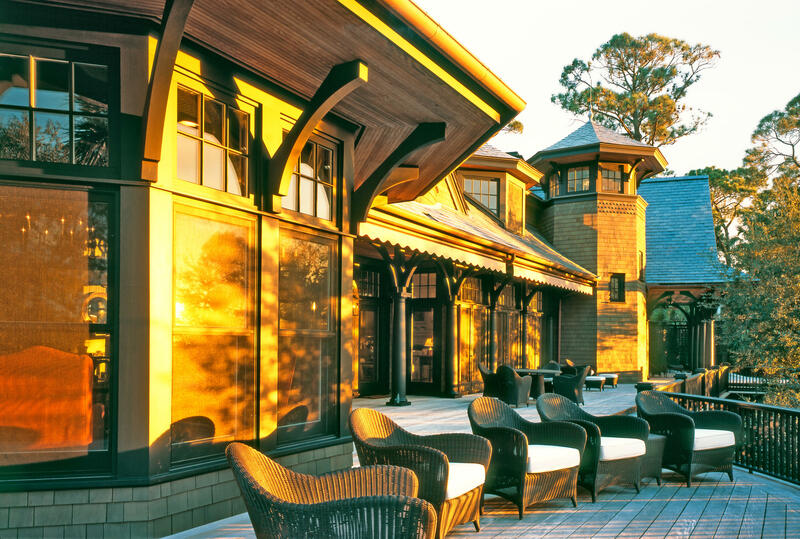 A Kiawah Island Club membership opportunity is available-Golf.Designed by world renowned architect, Mark Finlay, beautiful craftsmanship is evident, as seen in every room having exceptional architectural detail including custom mill-work, wide baseboard, crown molding, wainscoting, columns and balustrades. 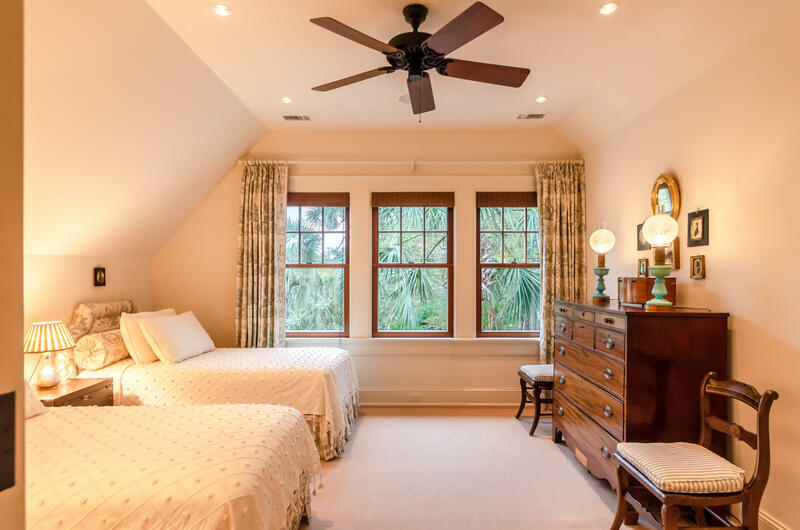 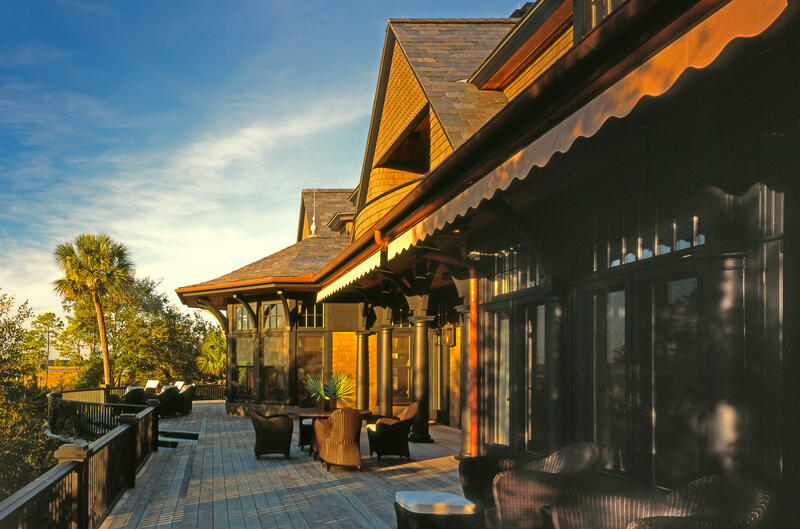 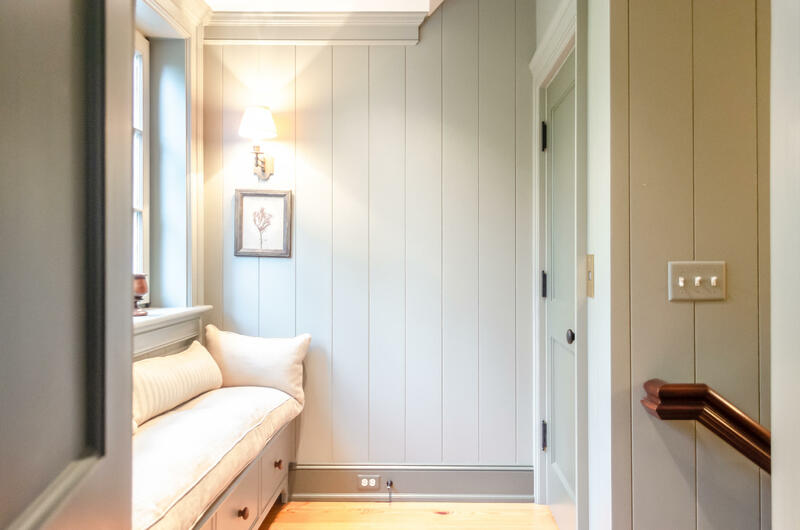 Only the finest materials have been used in construction, to withstand the intense island climate, including treated, stained cedar shingle exterior siding, slate roof, Ipe dense iron wood for deck flooring and European design Tischler windows. 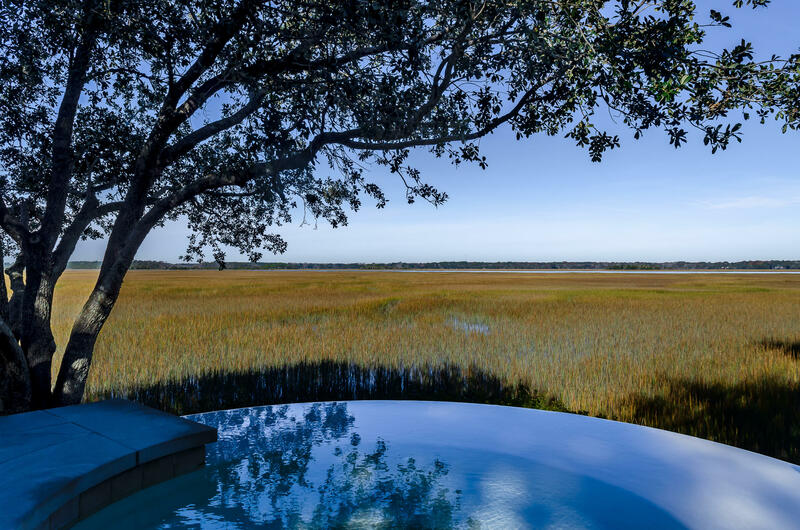 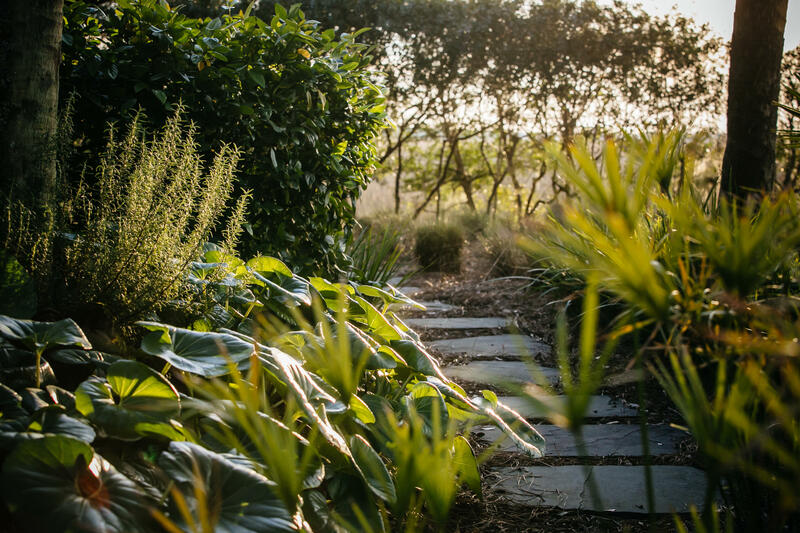 As you step inside the grand center hall your eyes are immediately drawn to the end of the hallway, illuminated by four bell glass lanterns through to the rear deck offering a first stunning glimpse of the panoramic marsh vistas. 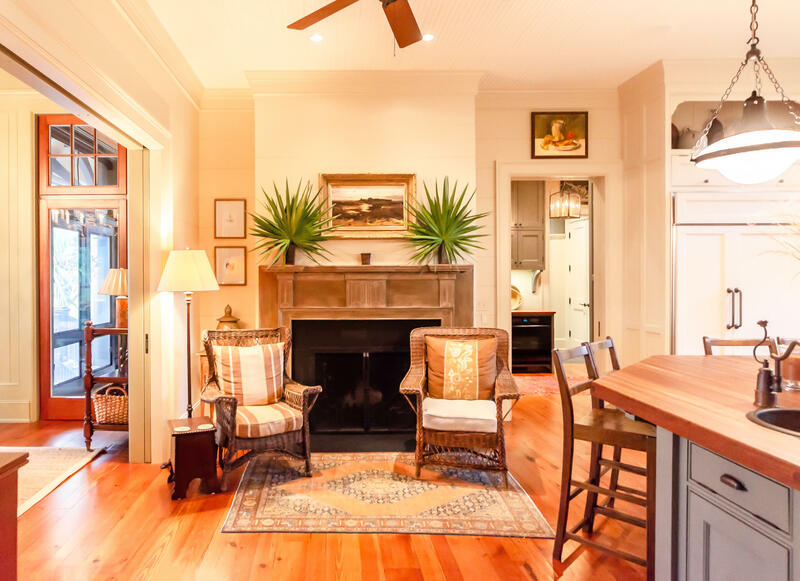 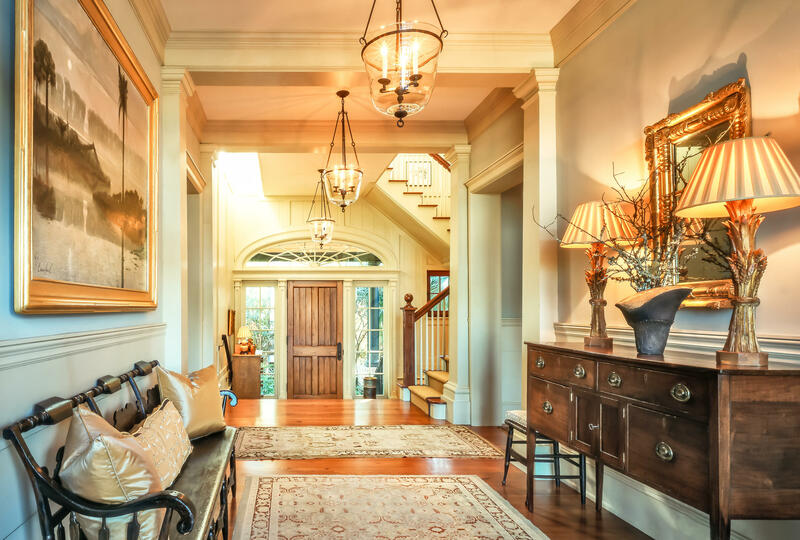 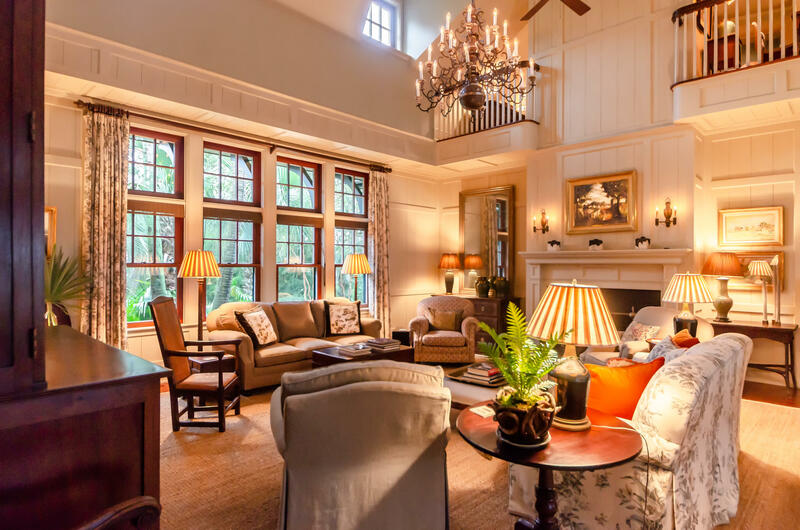 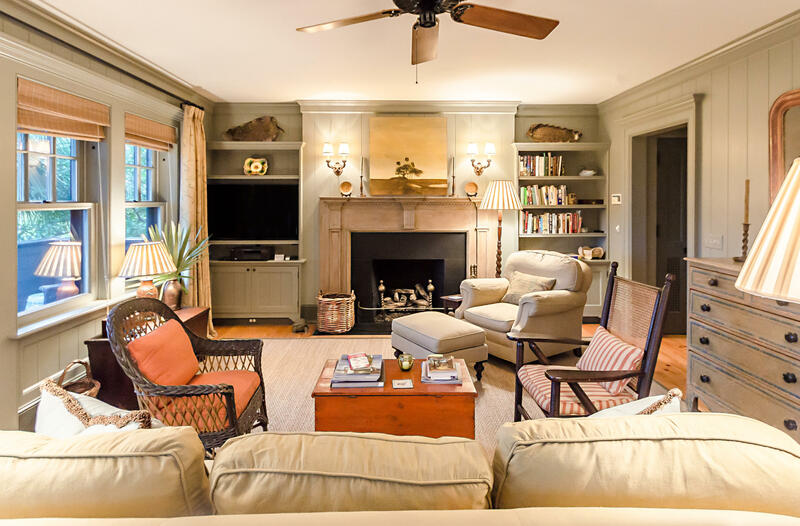 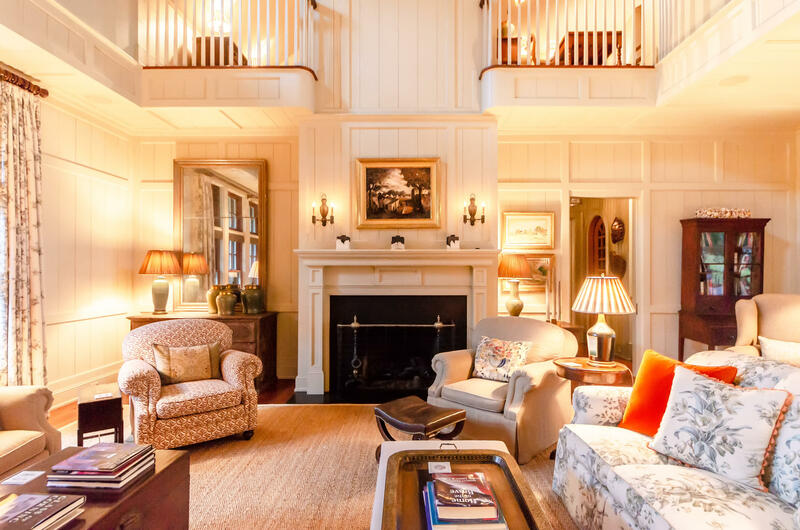 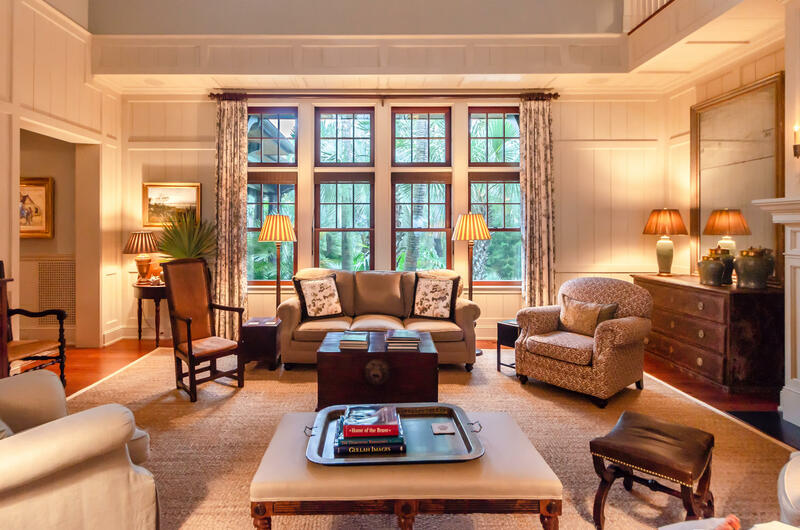 The majestic and spacious great room features a two-story ceiling, paneled walls, cozy gas log fireplace and three sets of transom topped French doors opening onto expansive rear deck. 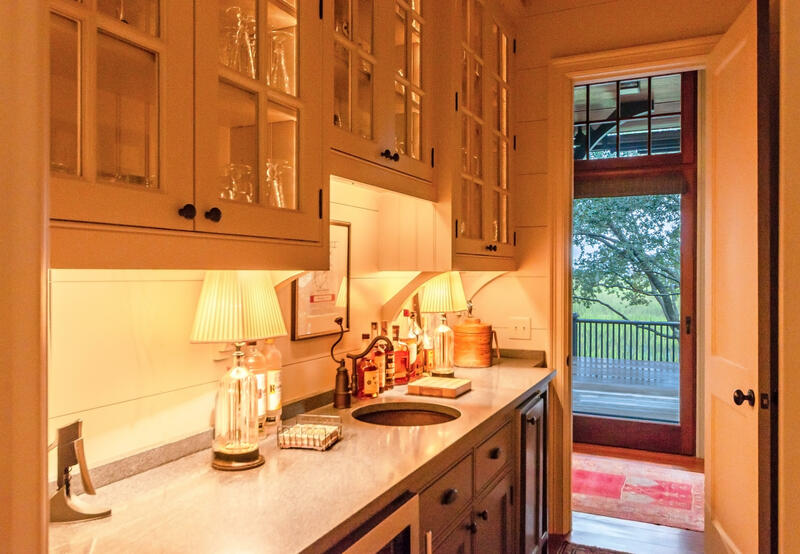 Adjacent, fully equipped wet bar with custom cabinetry, beverage cooler, ice maker and built-in wine storage for added convenience. 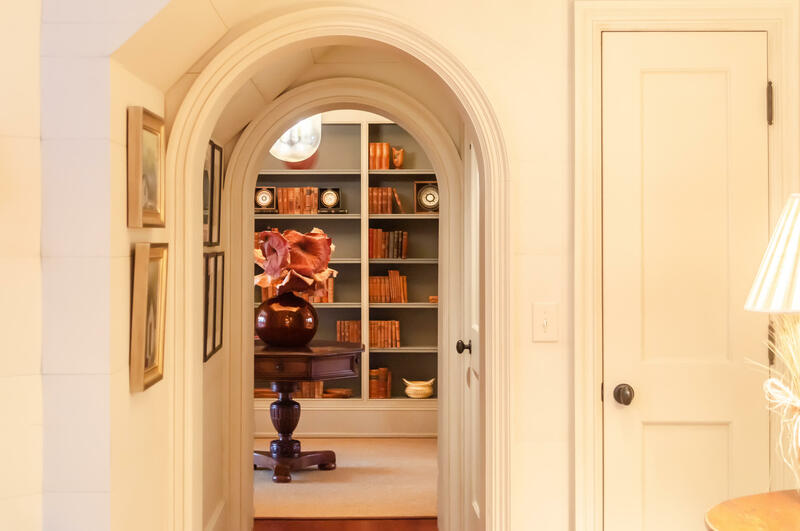 The thermostatically controlled wine cellar/tasting room features an arched entrance door with glass insert and slate flooring. 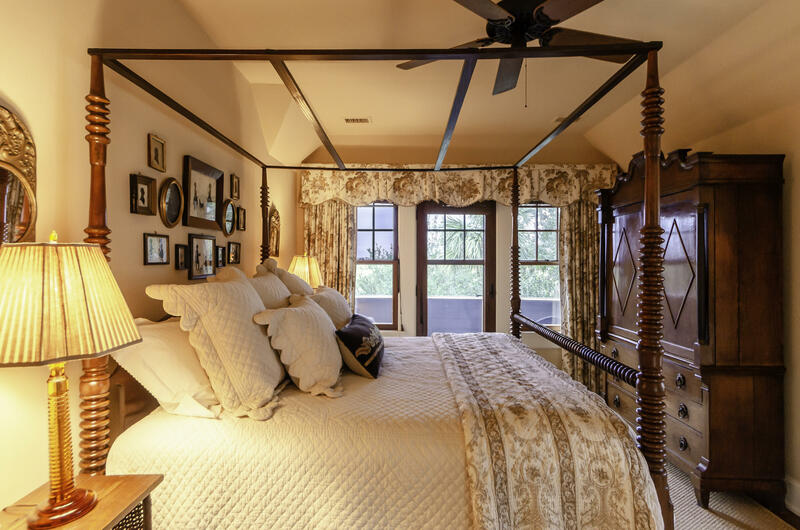 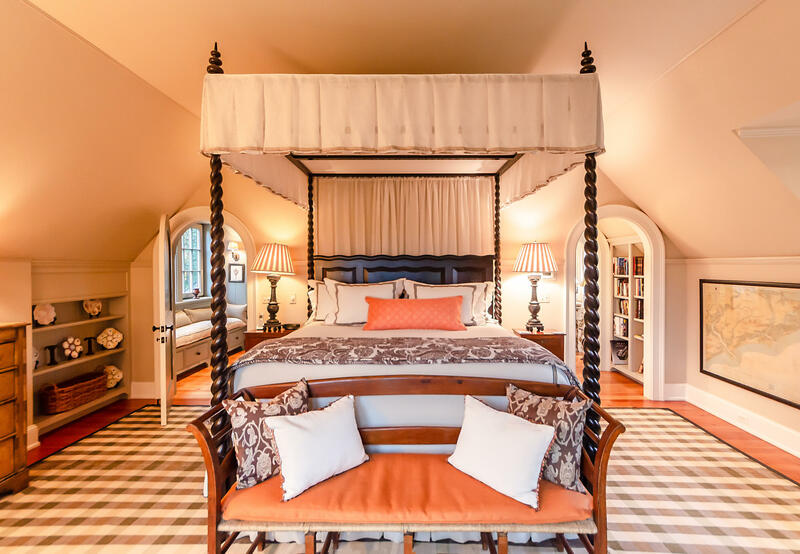 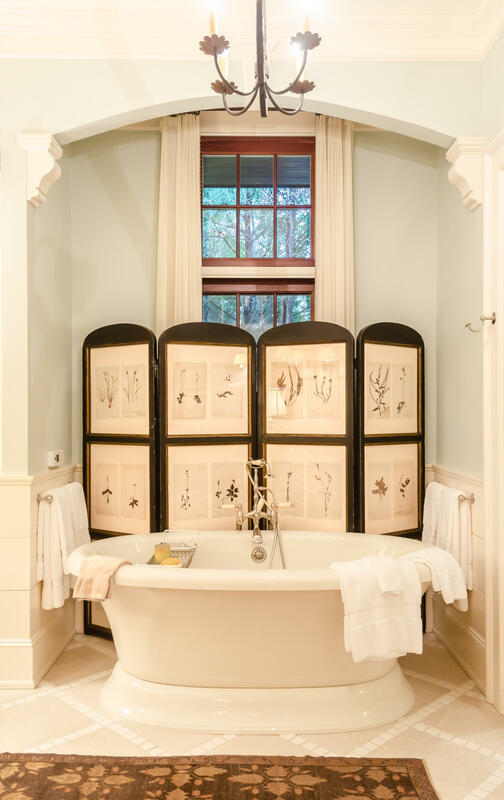 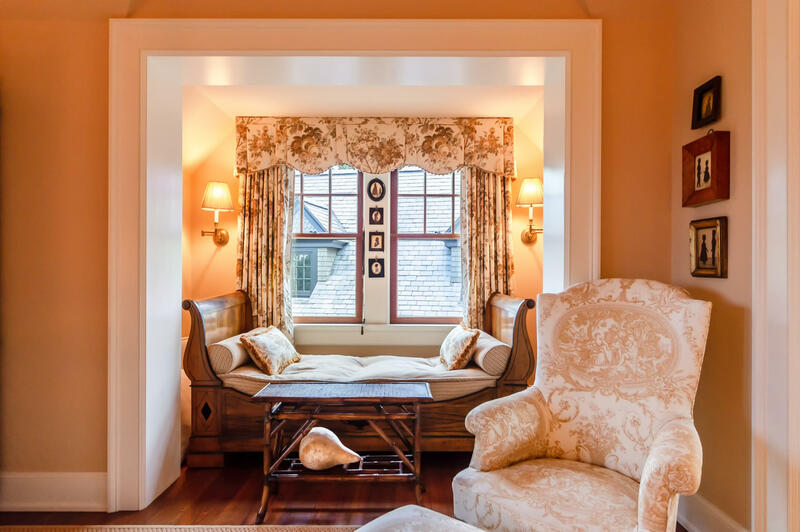 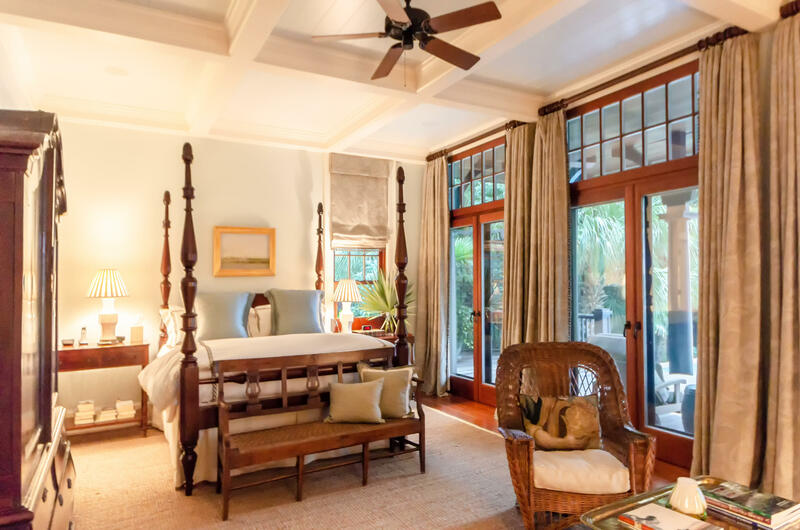 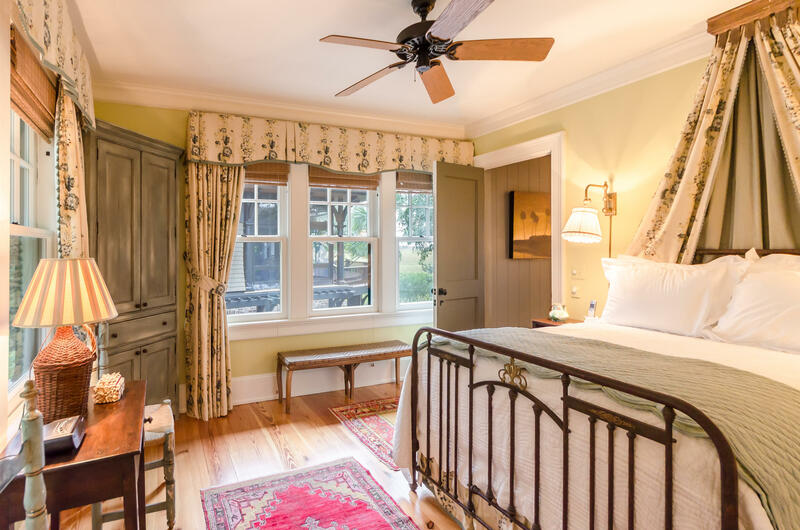 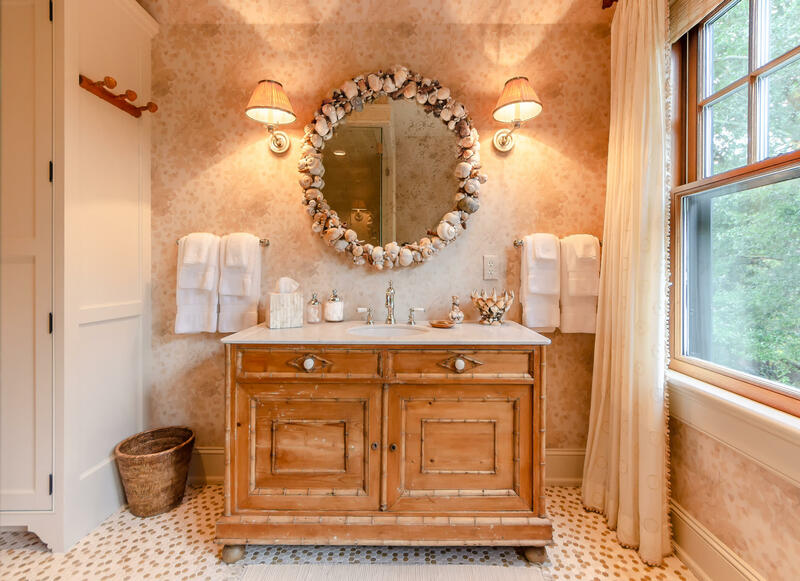 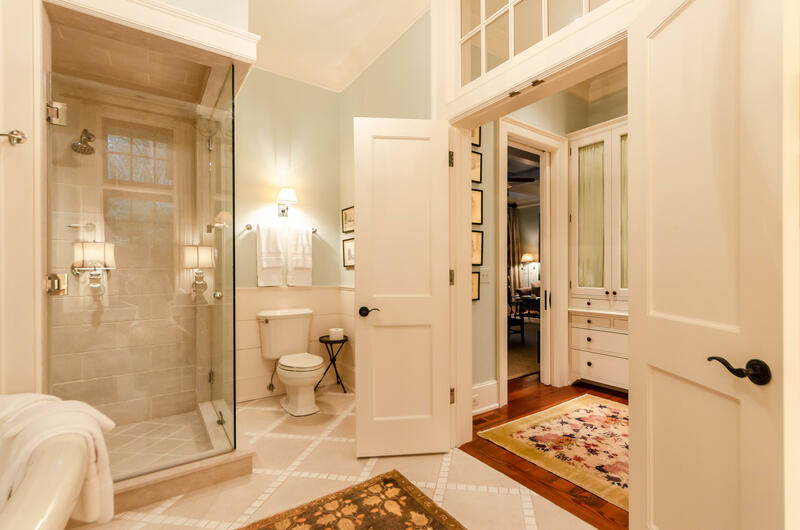 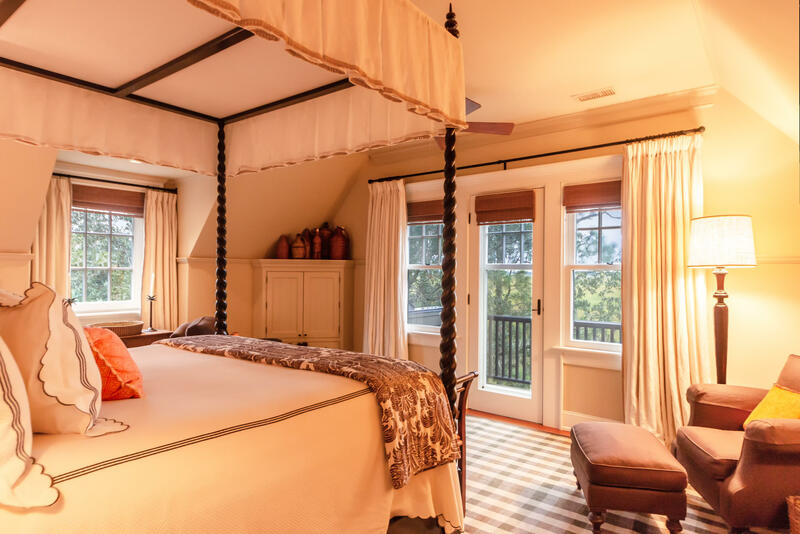 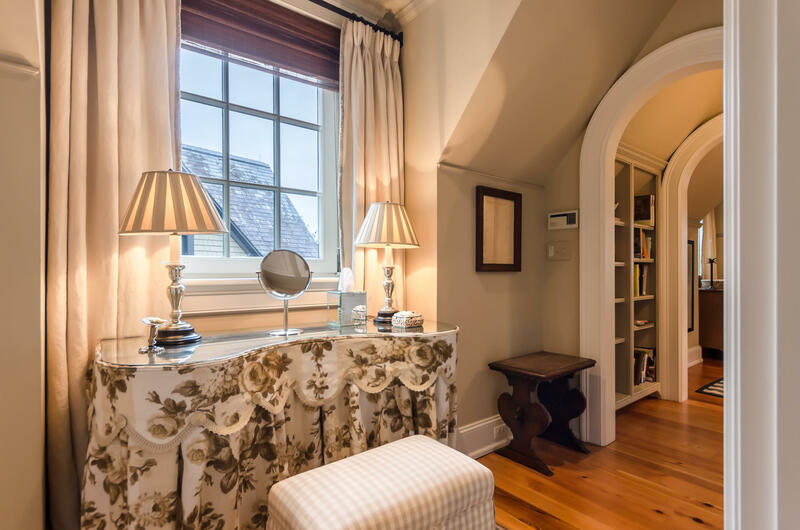 The generous master suite located on the first floor consists of His and Her walk-in closets and dressing rooms and His and Her luxurious bathrooms. 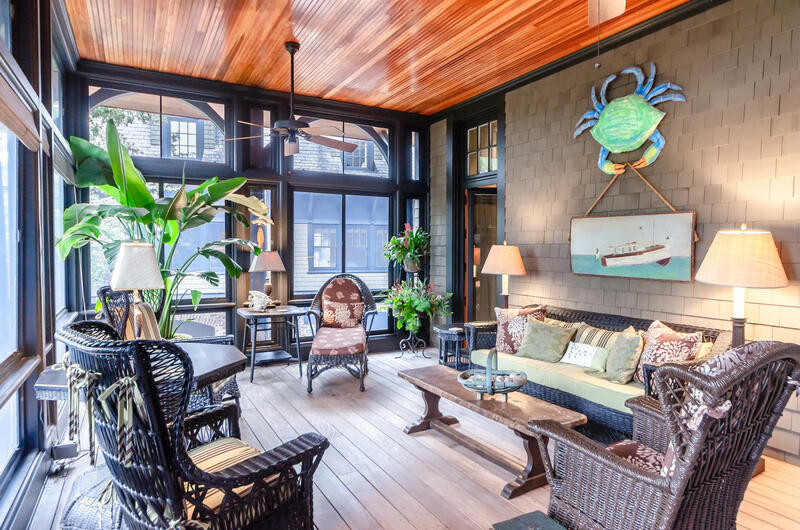 Access to the pool deck is via three sets of transom topped French doors. 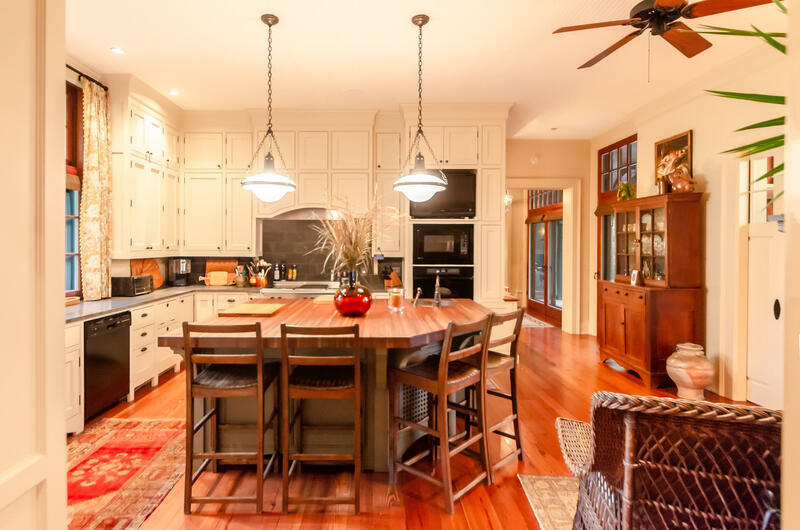 On the other side of the grand hall you'll discover the Chef's kitchen with top of the line appliances including Gaggenau cook top, dual Dacor wall ovens, Bosch dishwasher, Sub Zero side-by-side refrigerator/freezer, custom cabinetry with honed granite counter tops and large center island/breakfast bar with cherry butcher block top and companion sink. 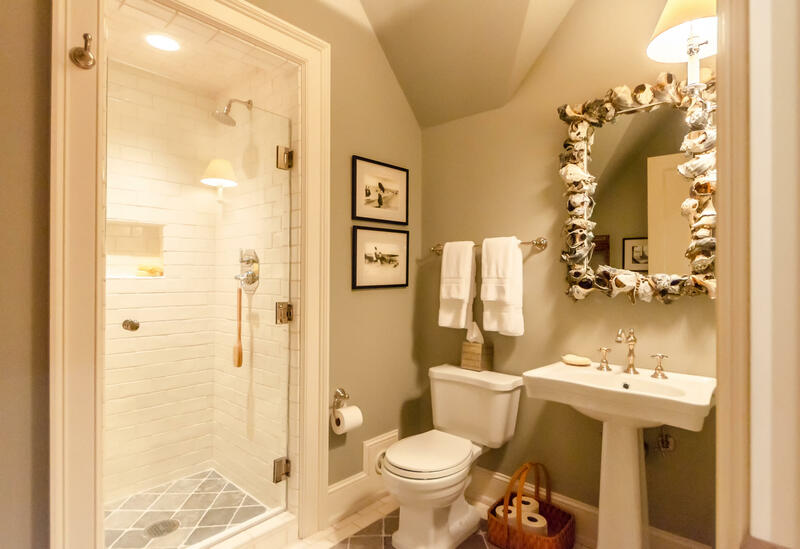 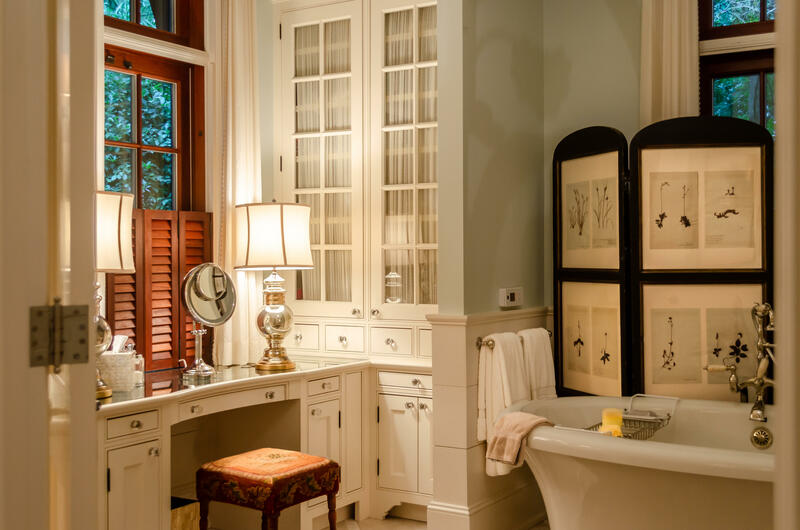 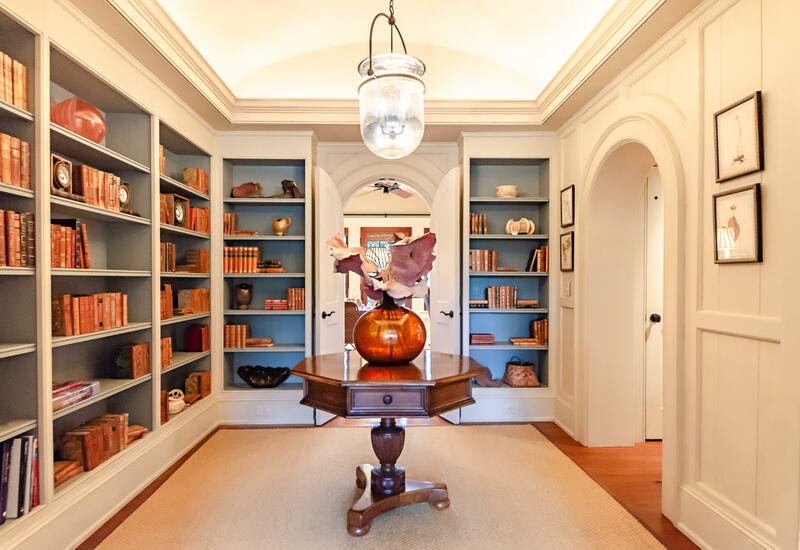 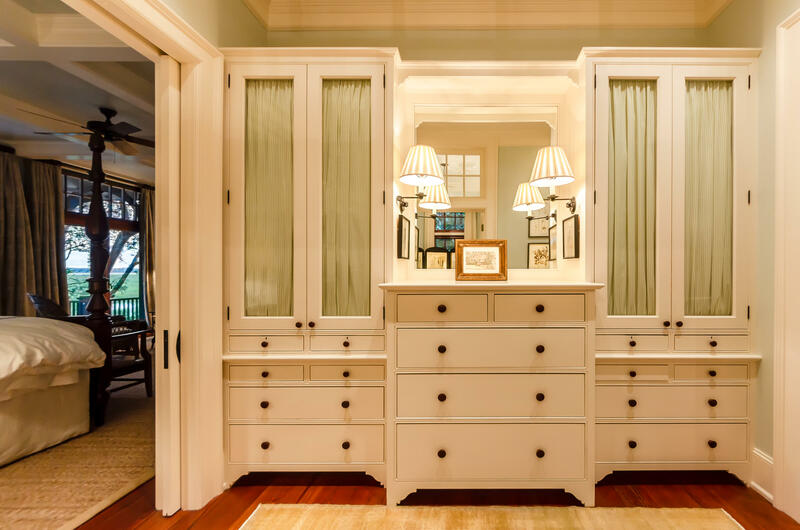 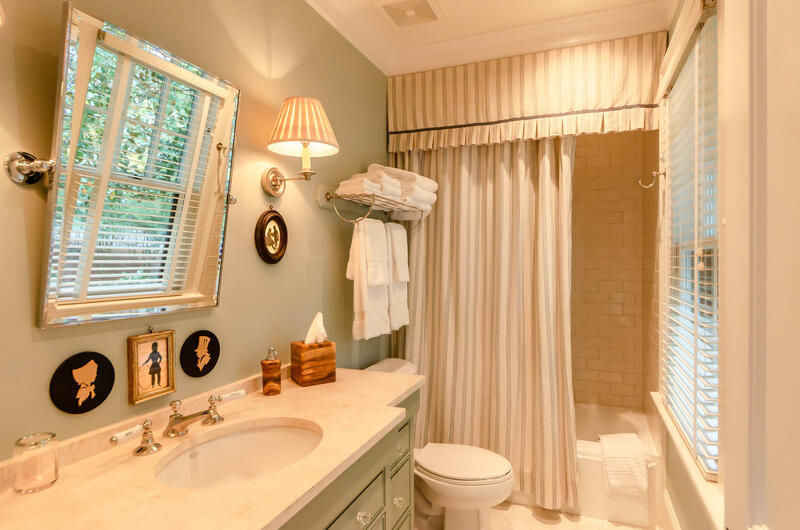 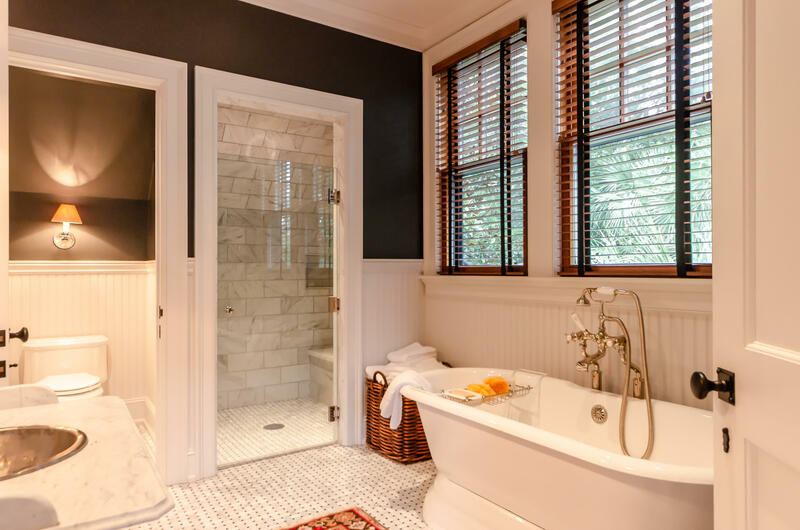 The butler's pantry offers additional cabinetry, built-in china and linen buffet, a second Sub Zero refrigerator/freezer and Dacor wall oven. 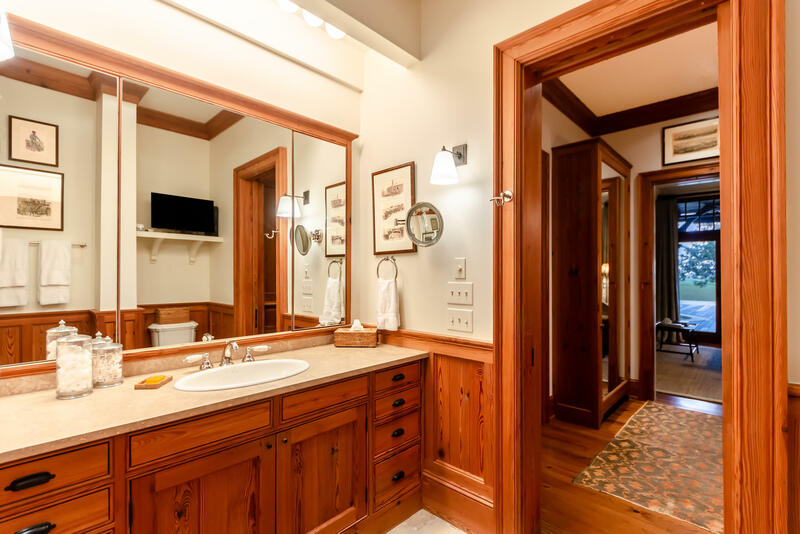 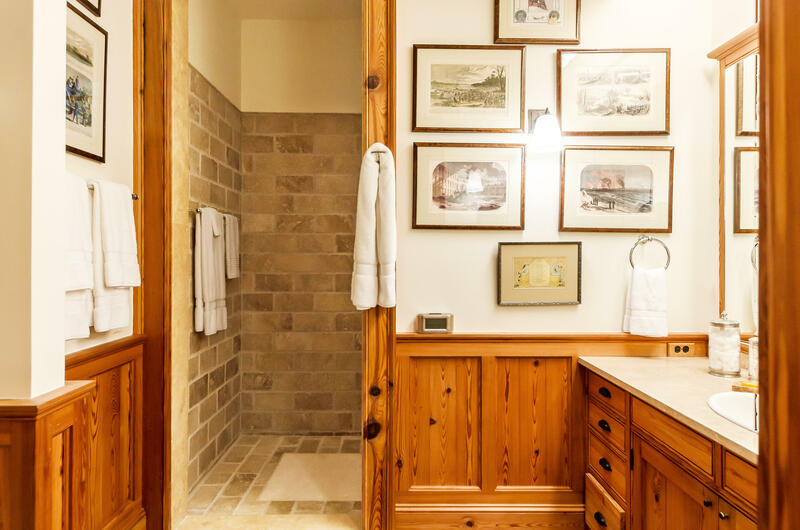 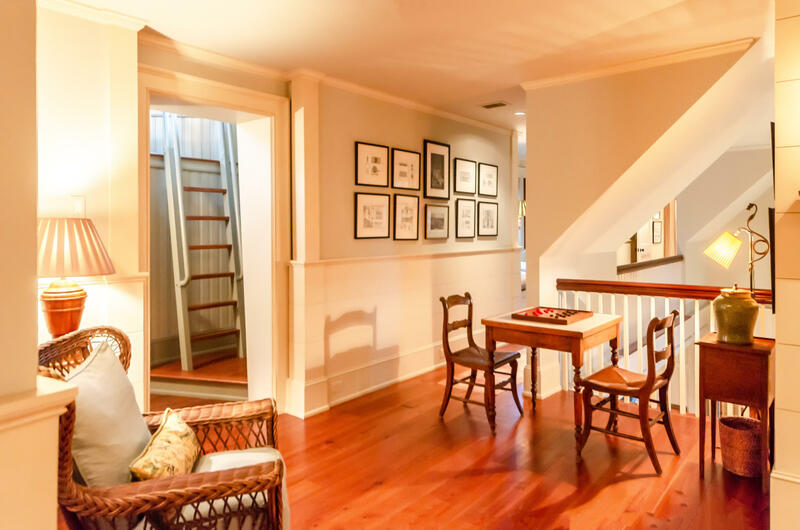 The adjoining laundry room has a half bath, ample cabinetry, laundry sink and access to the screened porch. 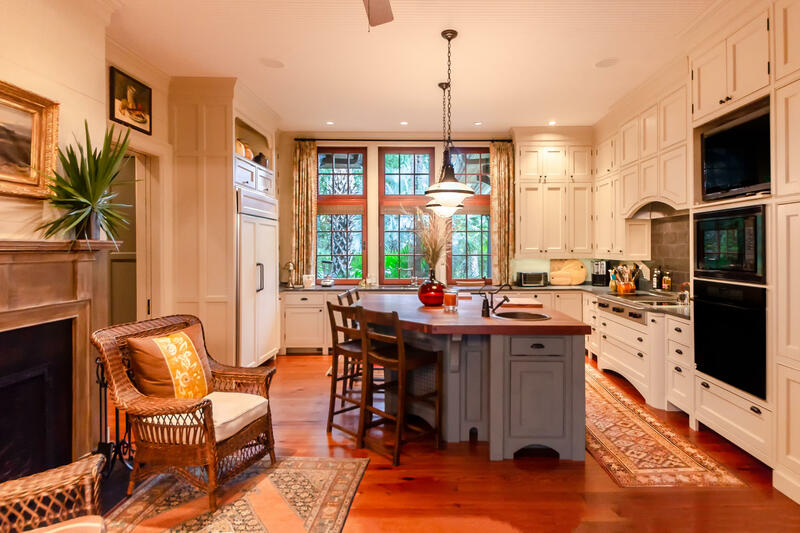 Family and friends will enjoy gathering around the cozy fireside of the keeping room during meal preparation. 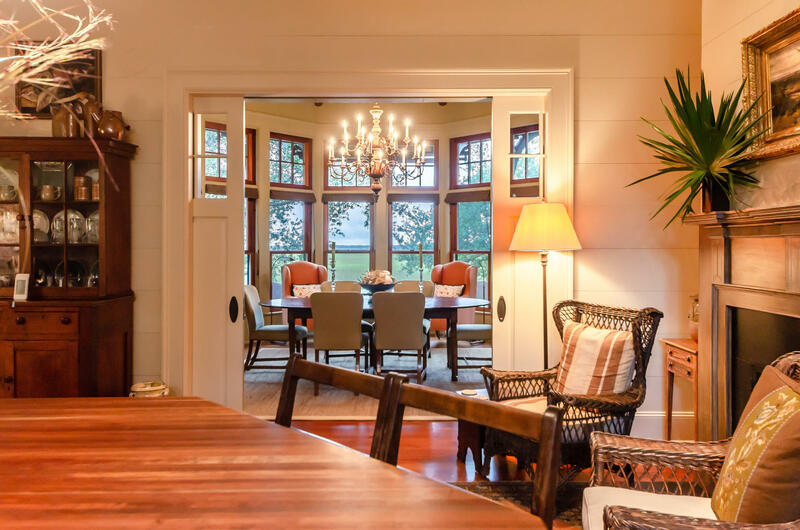 The half octagonal shaped dining room with a wall of windows offers breath-taking views and features a painted beadboard cathedral ceiling. 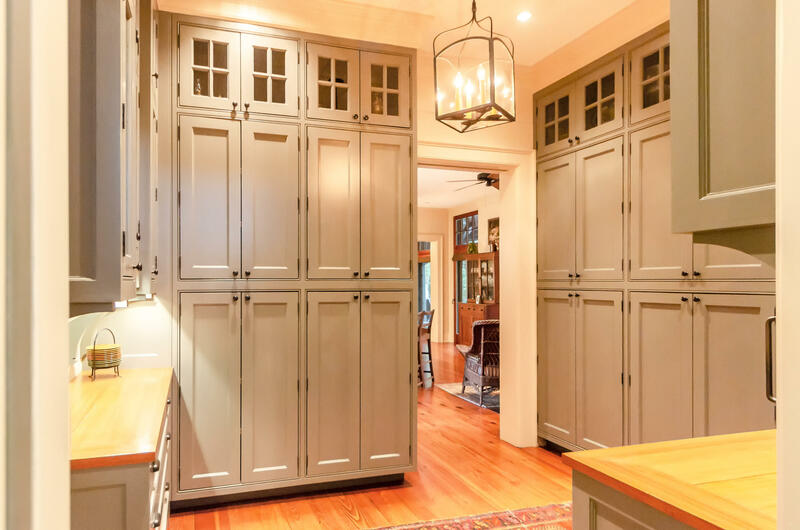 Sliding doors separate the kitchen and dining areas. 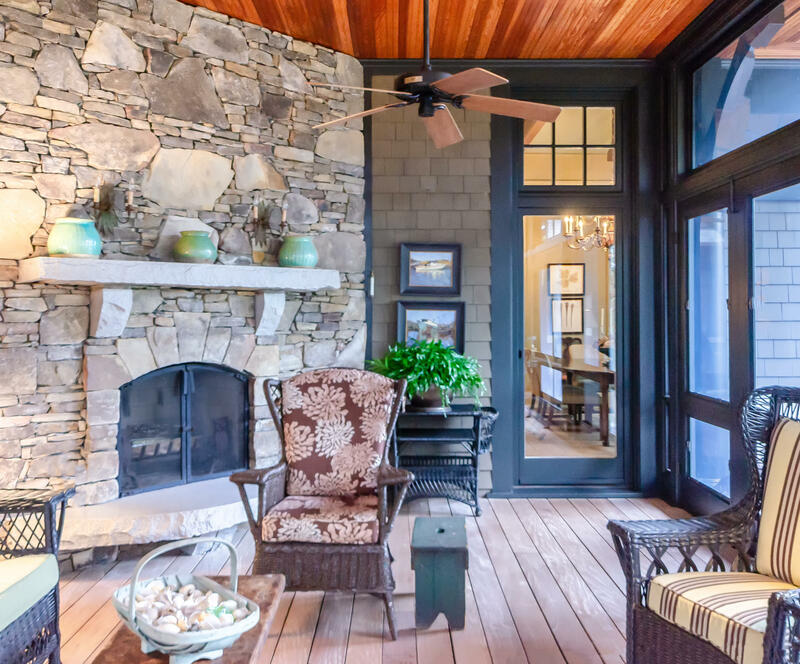 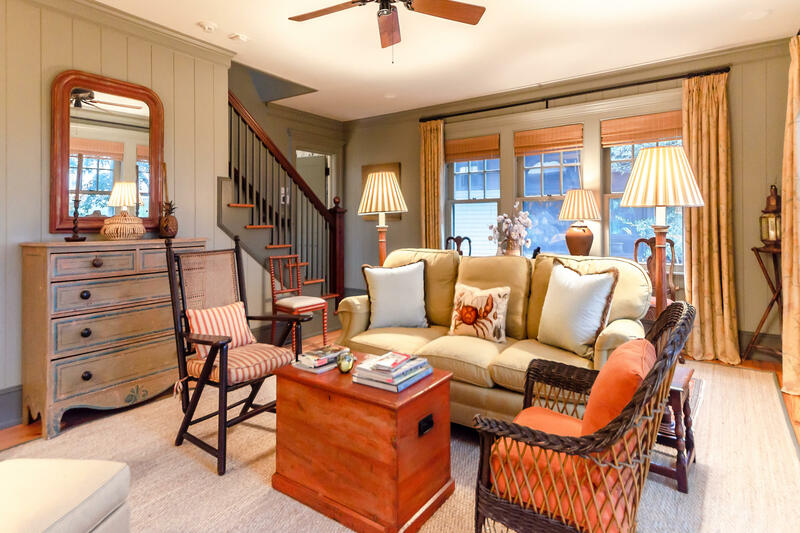 A glass door allows easy access to the spacious screened porch with wood burning fireplace surrounded by a stone wall, hearth and mantle, the ideal setting for year-round enjoyment. 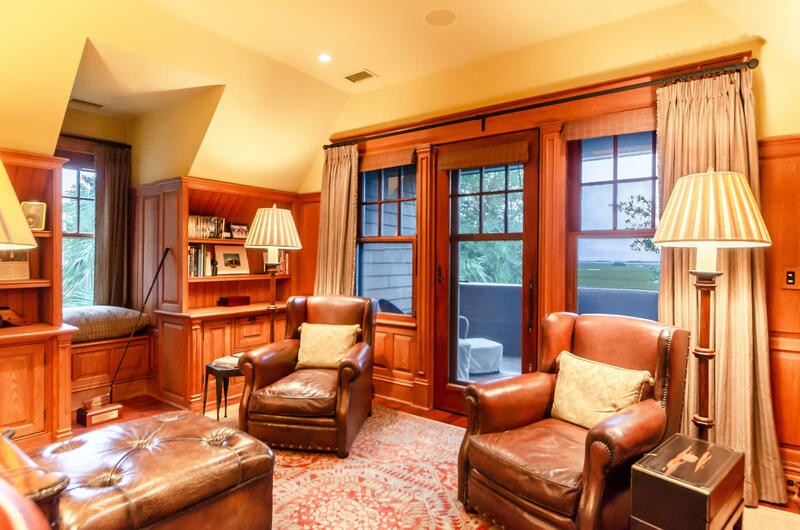 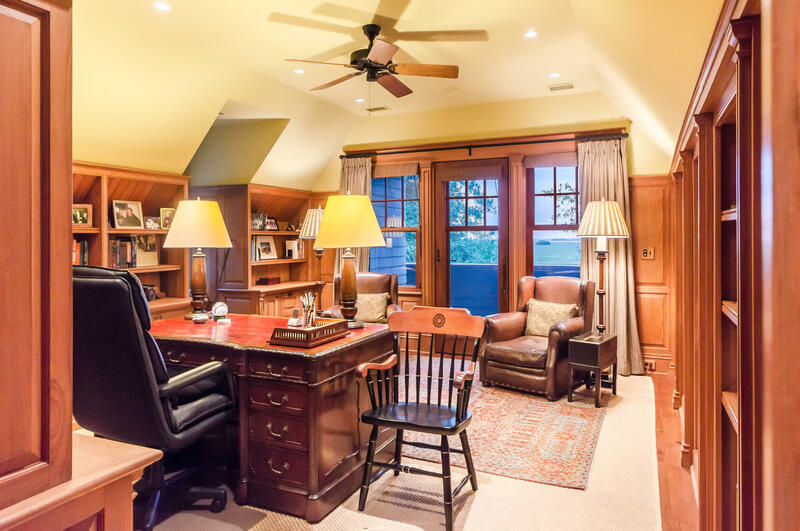 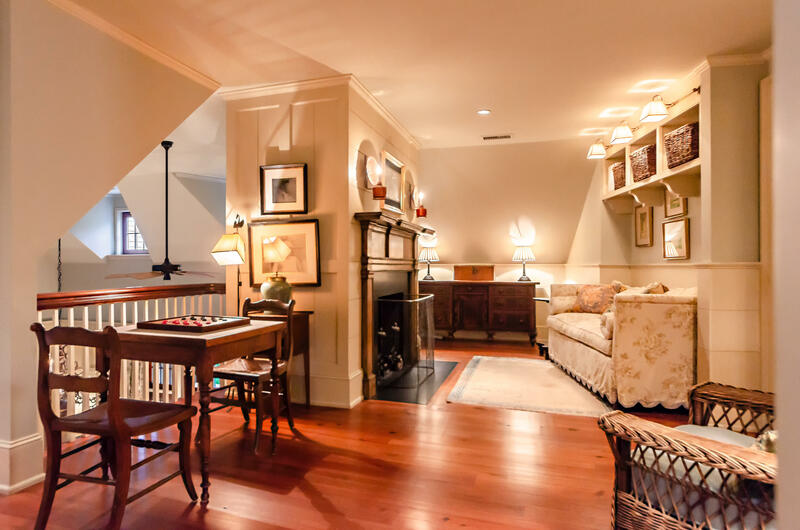 Two guest suites, with window seat nooks outside each bedroom, His and Her offices, sitting area with cozy gas log fireplace, large cedar storage room and library are located on the second level, connected by a catwalk-with multiple balconies overlooking the great room. 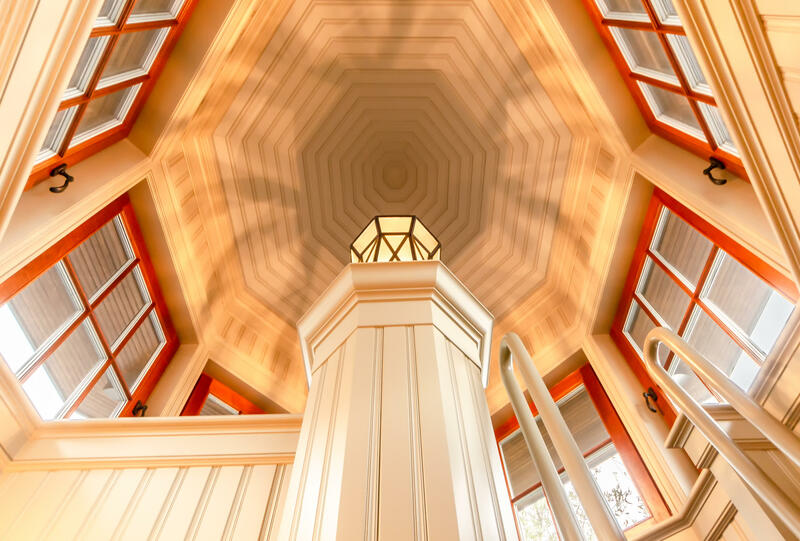 For the adventurous a ship's ladder provides access to the Cupola with iron lantern, offering spectacular panoramic vistas. 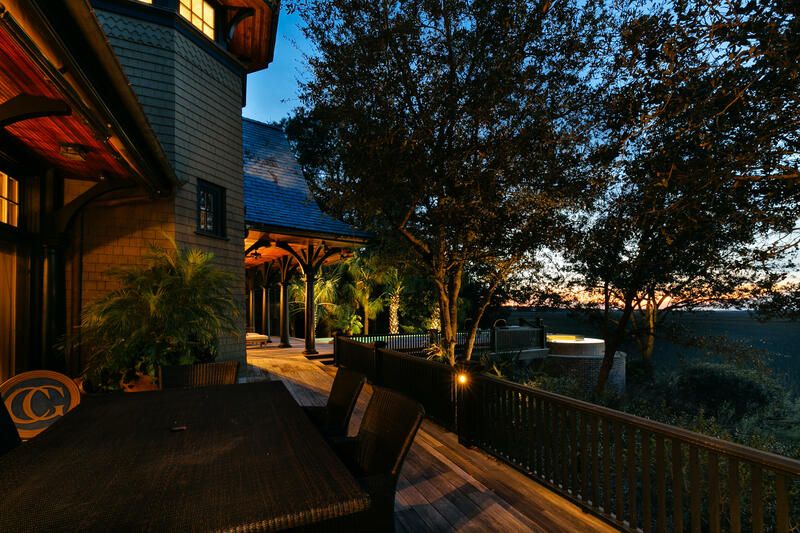 The outside view of the tower resembling a lighthouse. 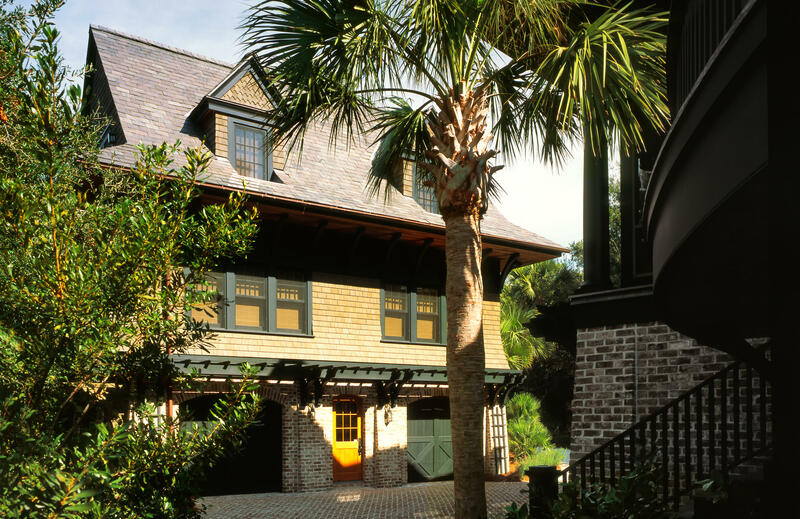 A brick courtyard separates the main house from the two-story guest house over a two car garage. 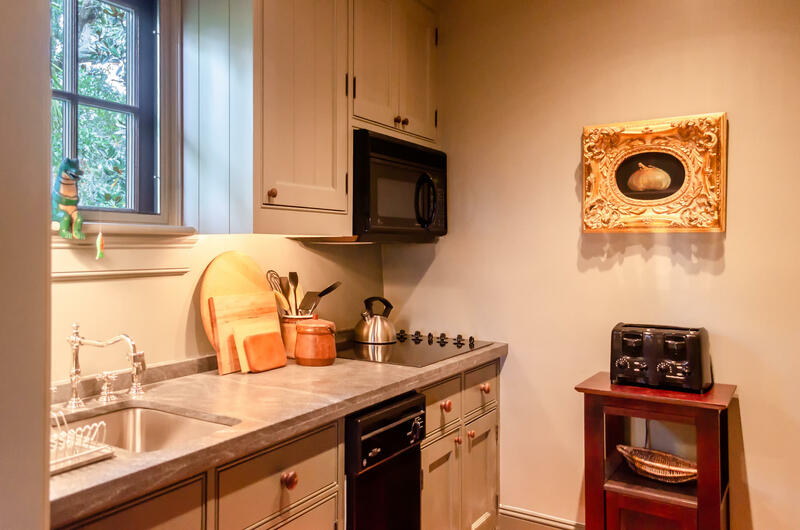 The guest cottage consists of full galley kitchen, laundry alcove, sitting room with cozy fireplace, two guest bedrooms and private baths. 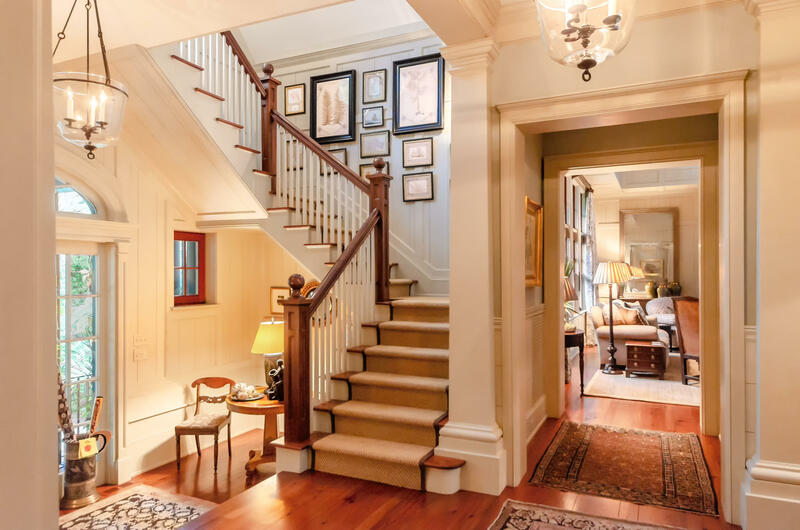 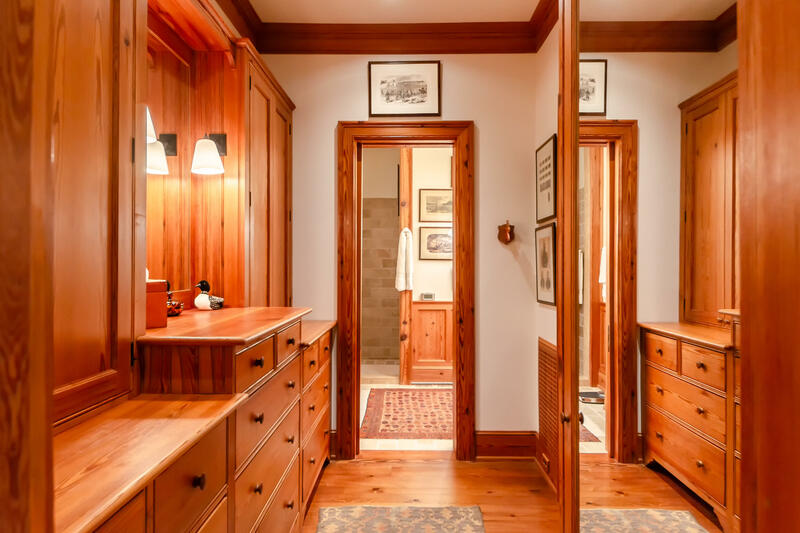 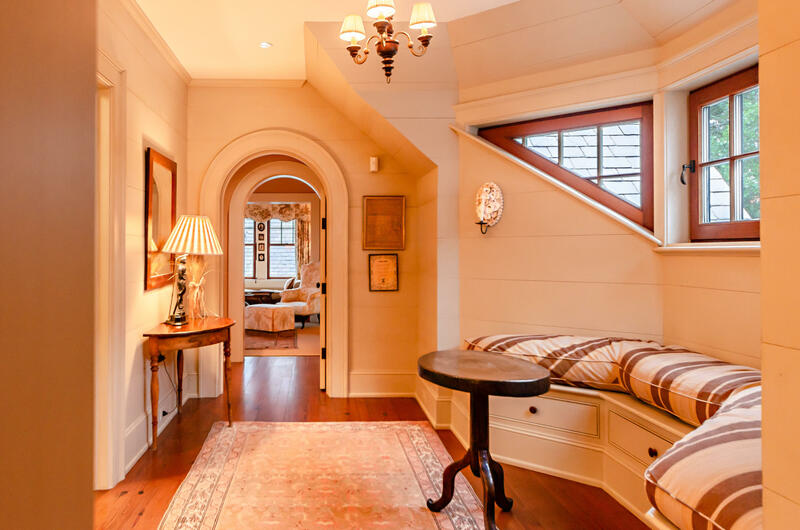 A cedar entry foyer with cedar steps and paneled walls, plus three stop elevator. 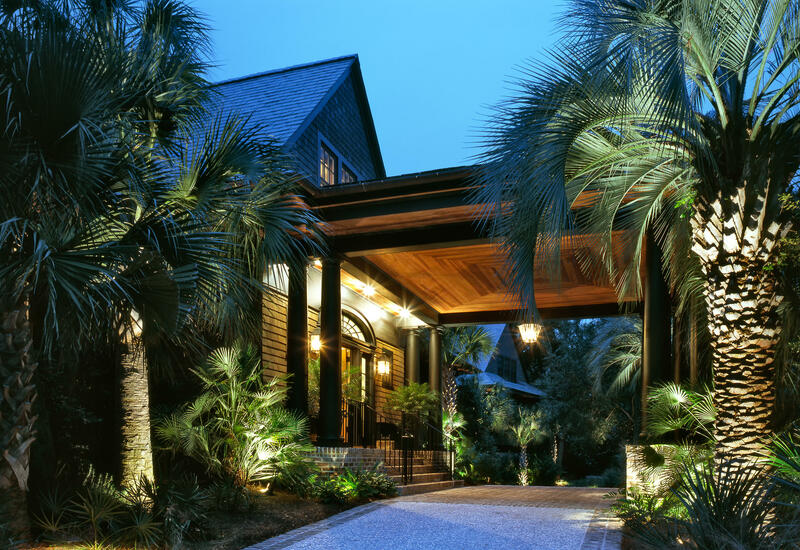 Professionally landscaped with lush mature plantings and zoned irrigation system. 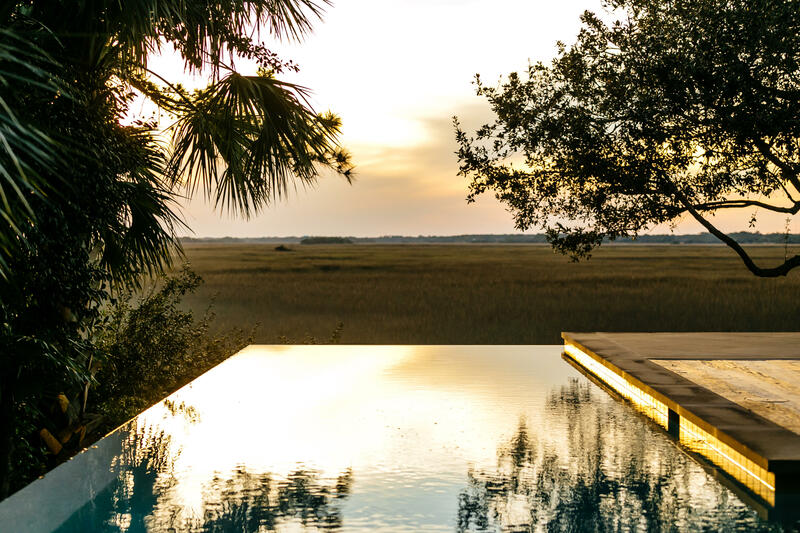 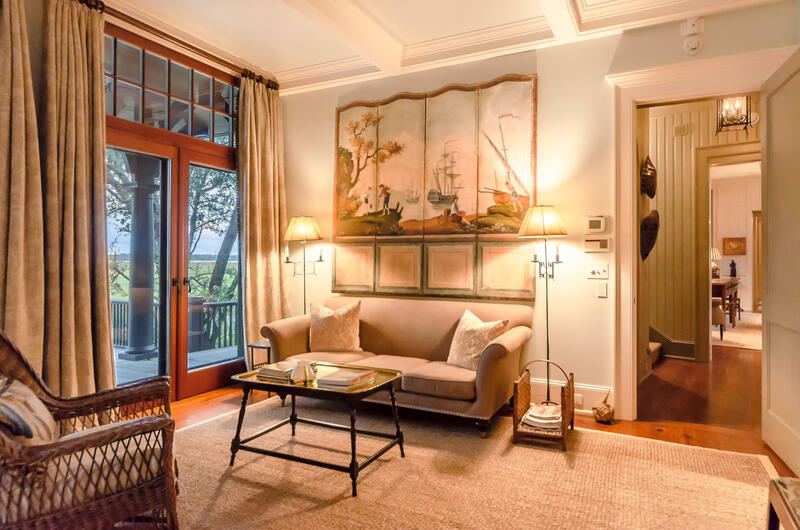 A rare opportunity to purchase this exceptional, impeccably maintained estate sized residence, enjoying the ultimate Low Country lifestyle, whether indoors or outdoors, with open decks, swimming pool, spa, spectacular sunsets, sunrises, wildlife and deep-water access. 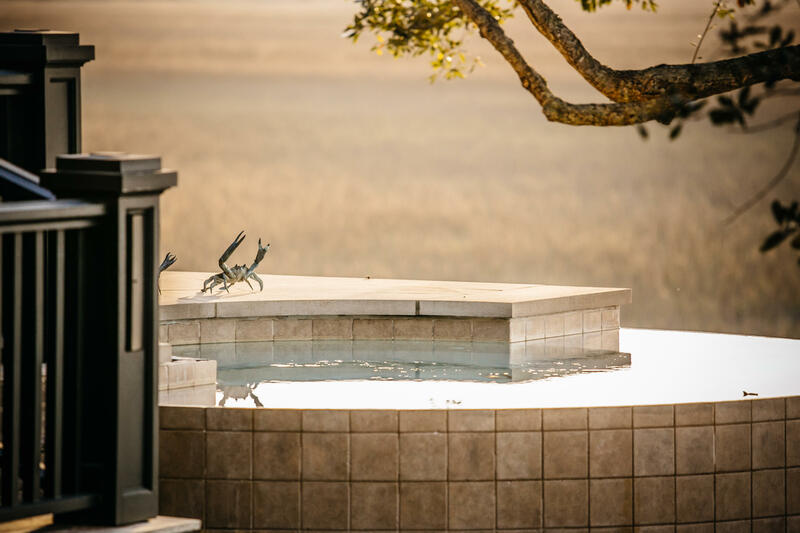 Integrated into its natural surroundings and laid out to maximize prominent views, existing landscape and water features. 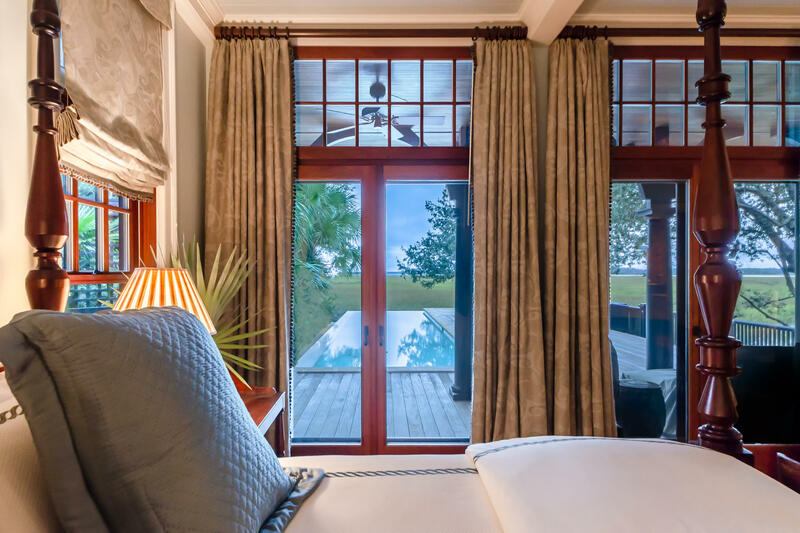 This wonderful home has been designed to accommodate owners' needs with a high degree of compatibility and respect for the natural surroundings, whether working, dining, entertaining or simply relaxing looking out onto a living canvas that beckons every day.